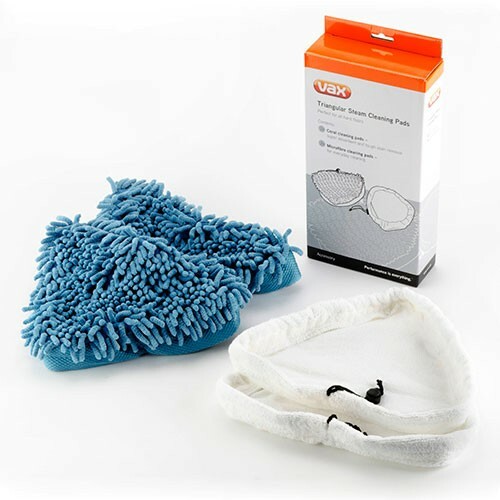 A pack of 4 steam cleaning pads for your Vax steam cleaning mop with triangular floorhead. The pack contains 2 x microfibre pads (for encapsulating spillages) and 2 x coral pads (for stubborn stains and textured surfaces). All pads are easy to attach and machine-washable. Payment Plan of 4 x monthly instalments of £6.25 applies to Vax Triangular Steam Cleaning Pads only, additional items to be paid in full at checkout.